I can’t believe that the month of May is almost over. 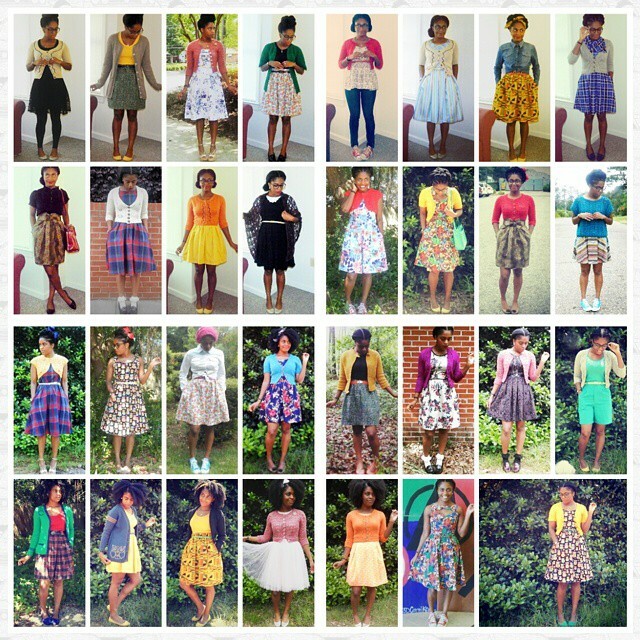 My outfits from Week 3 are below. Day 15 (Friday) – I took my Dad to his doctor’s appointment and we ran some errands. 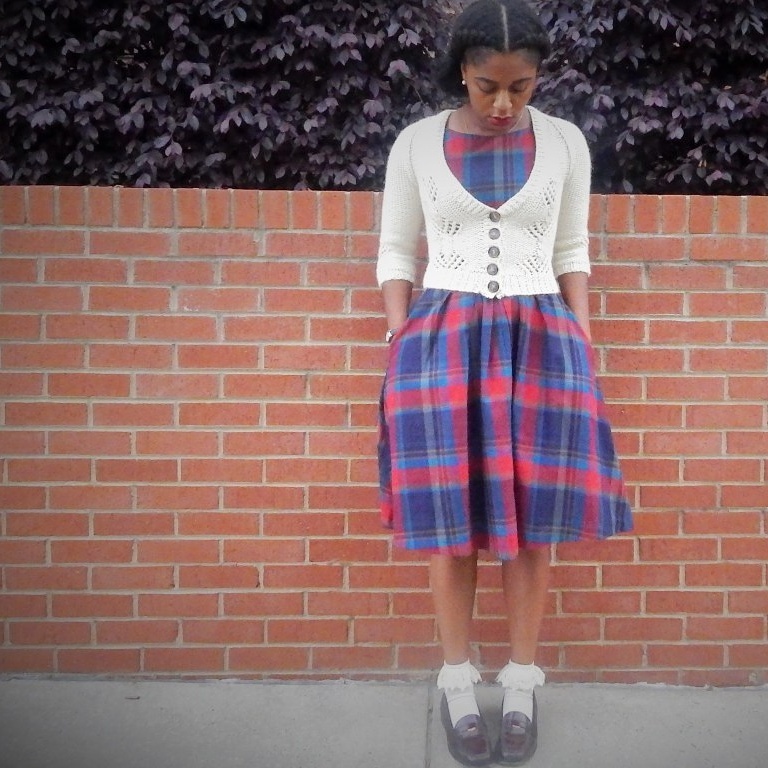 I repeated my red Hetty cardigan and my Simplicity 2512 skirt. Day 16 (Saturday) – My sister was attending a conference for the weekend, so I had my nieces and nephew. I knew it would be a hectic day, so I went for super comfy. 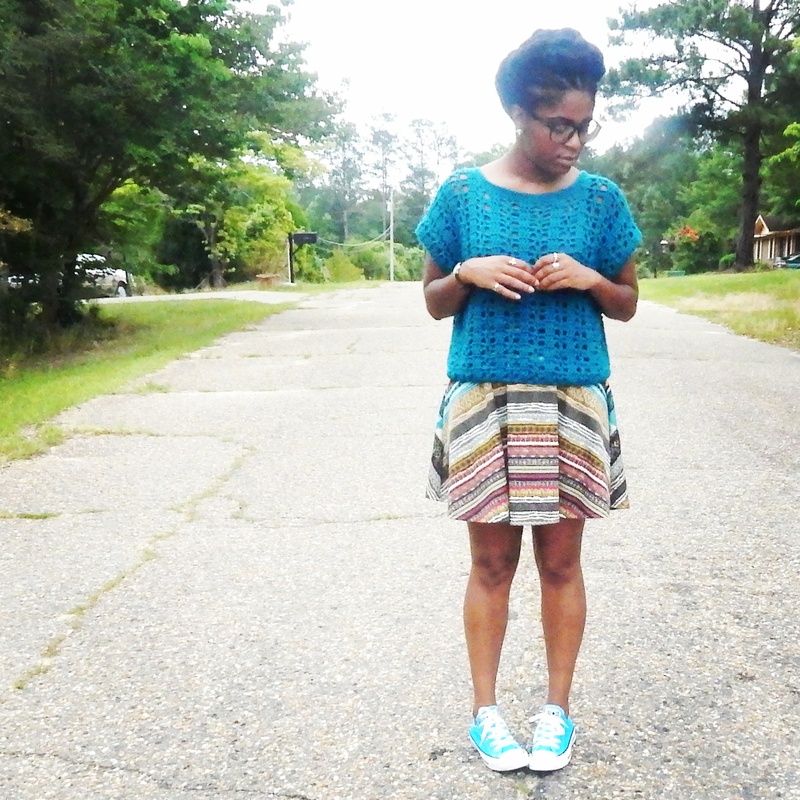 Hence, the chucks and my Casual Summer Top. 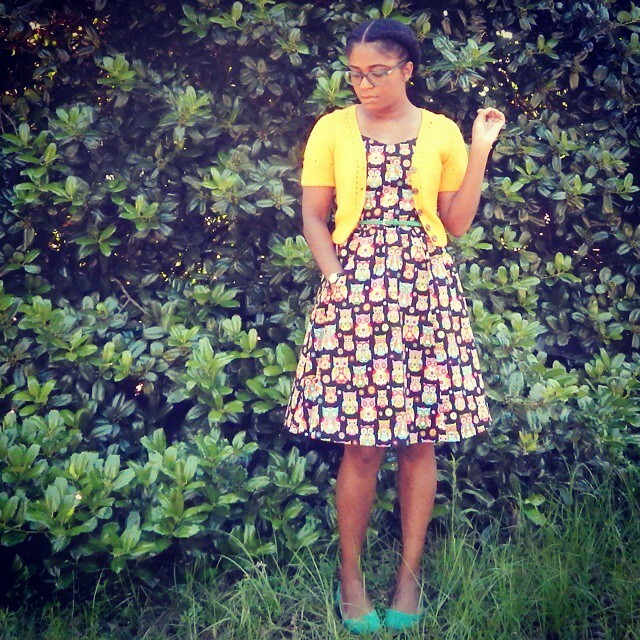 Day 17 (Sunday) – I attended church and repeated my Simplicity 2444 dress along with my Mei-Mei Shrug. Day 18 (Monday) – My niece had her Awards Ceremony. 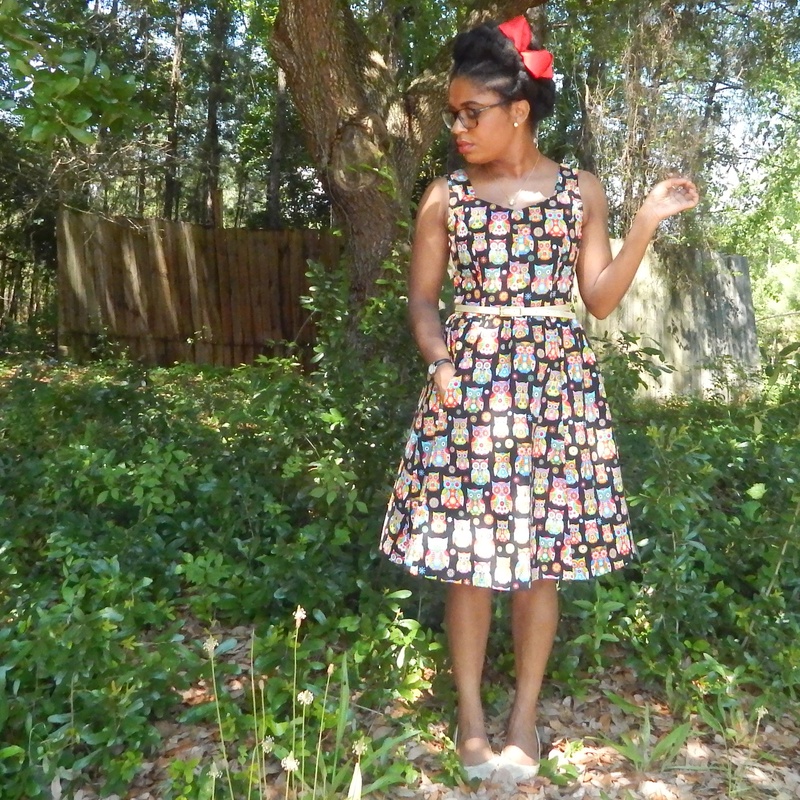 So, I wore my Simplicity 1803 dress from the OAL2014. I took along my red Hetty, but it was so HOT that I never did wear it. Day 19 (Tuesday) – This was a lazy day. I washed my hair (hence the hat) and went to church that night. The hat is Naturally Comfortable by Lisa Gentry. 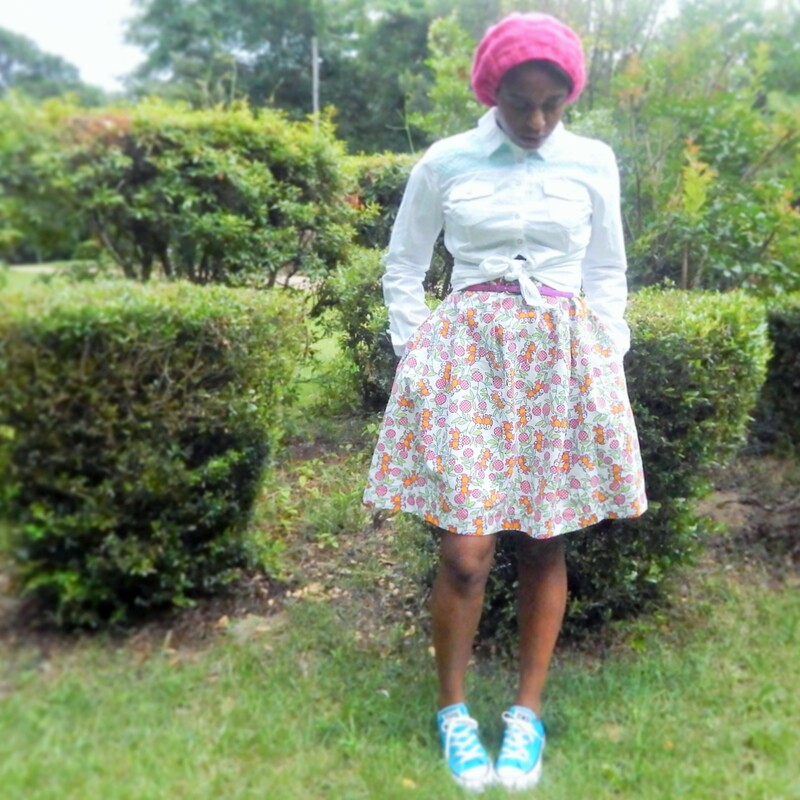 I repeated my skirt, which is a self-drafted elastic skirt (A tutorial for a elastic skirt can be found HERE). Day 20 (Wednesday) – My nephew had his Promotion Day. 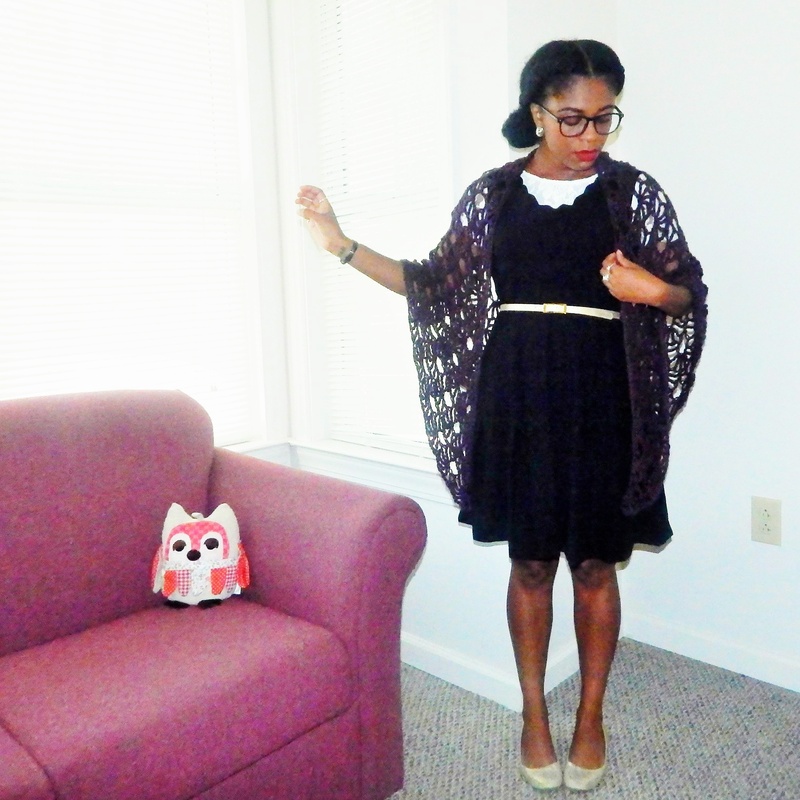 I wore my Myrna cardigan from the OAL2014 with one of my favorite dresses. 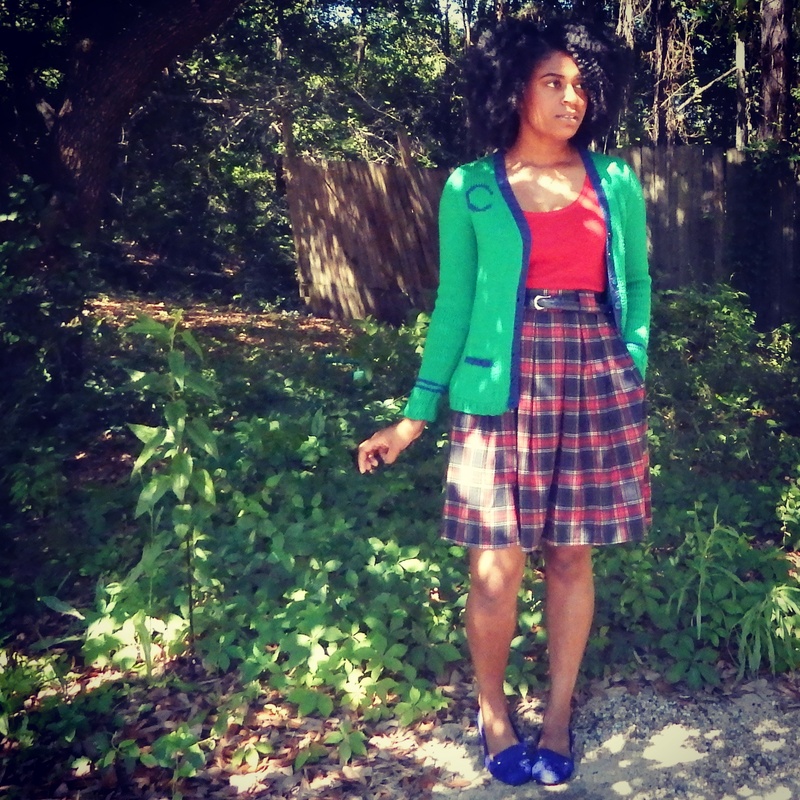 Day 21 (Thursday) – I wore my A to Z cardigan with a thrift store skirt that was upcycled. I completed Week 2 of Me Made May ’15. The details are below. Day 8 (Friday) – I was a hostess in the graduation and we had to wear black/white. So, I took along my Sweet Pea shawl to keep warm in the cold building. 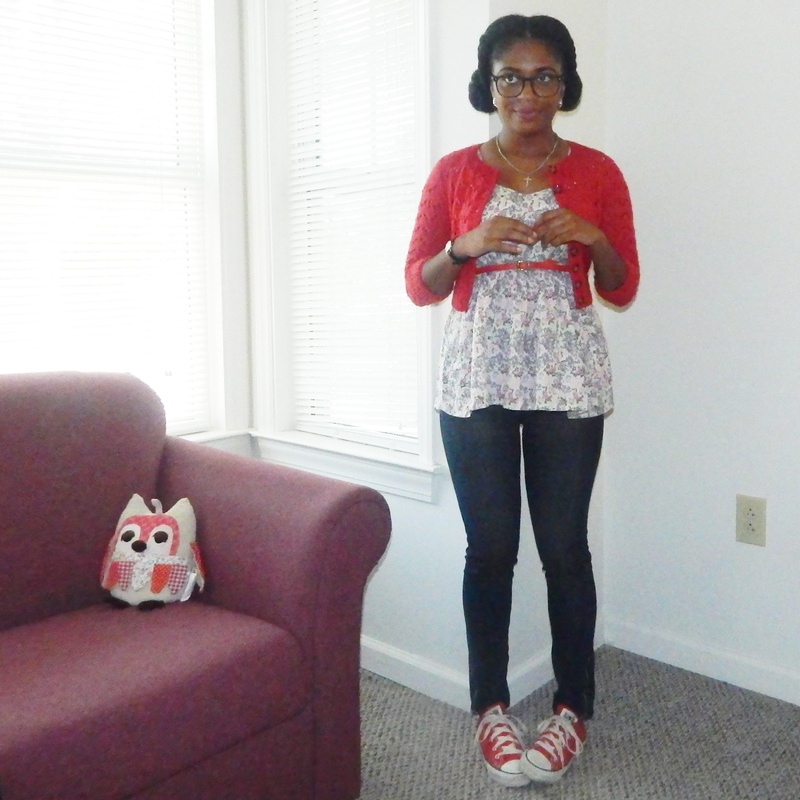 Day 9 (Saturday) – I started packing up my apartment. 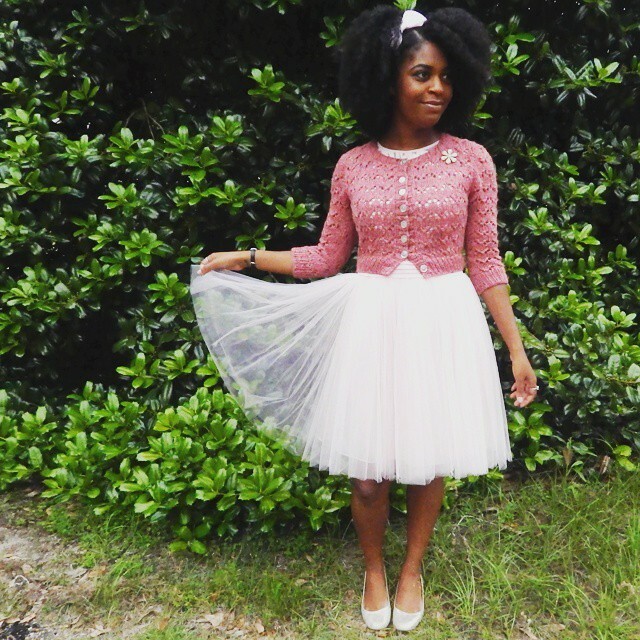 So, I wore my Butterick b5653 and my red Hetty cardigan. 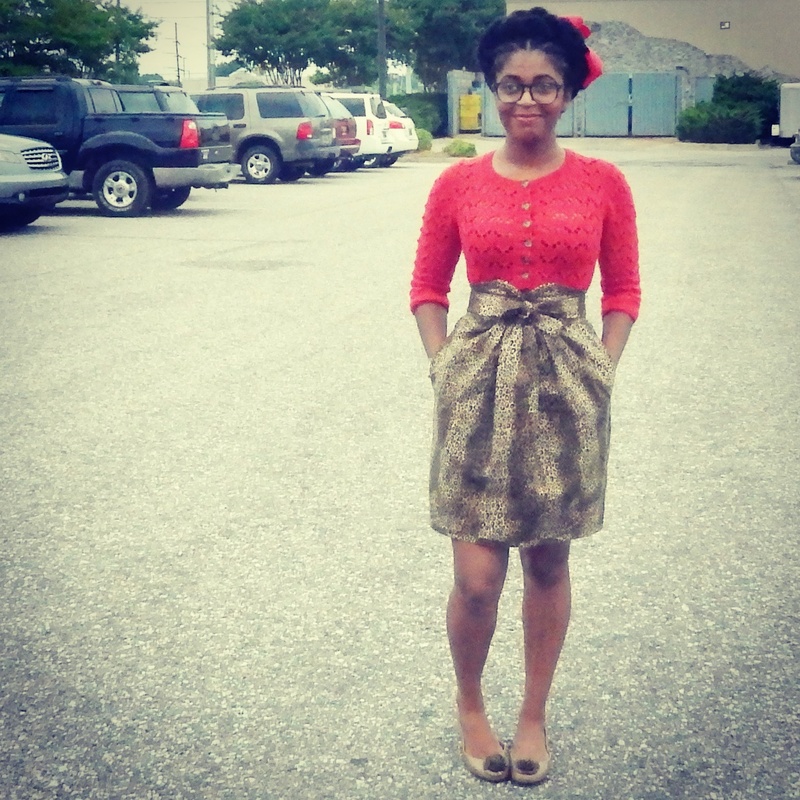 Day 10 (Sunday) – This is the second time my Beulah cardigan has appeared. 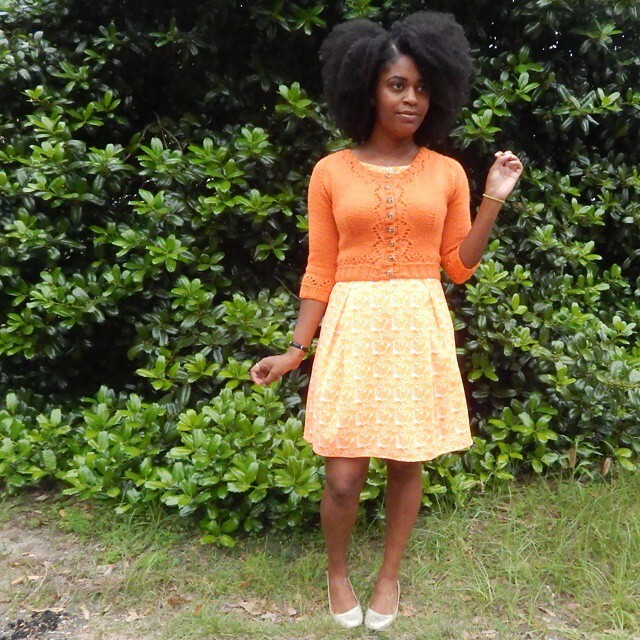 I wore it with my Modcloth dress to church this previous Sunday. 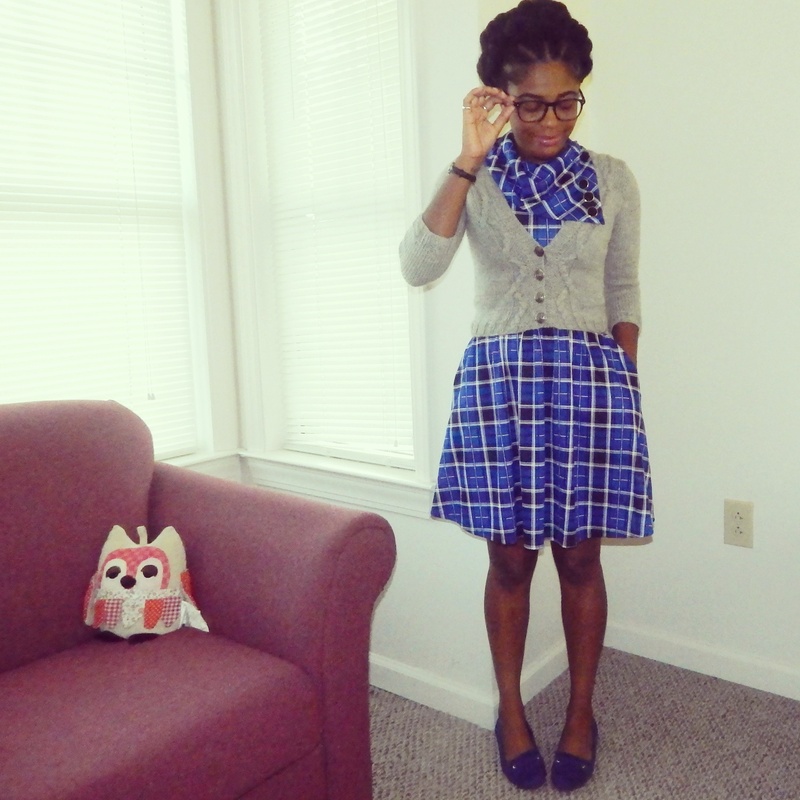 Day 11 (Monday) – I wore this self-drafted skirt and matching headband to work. 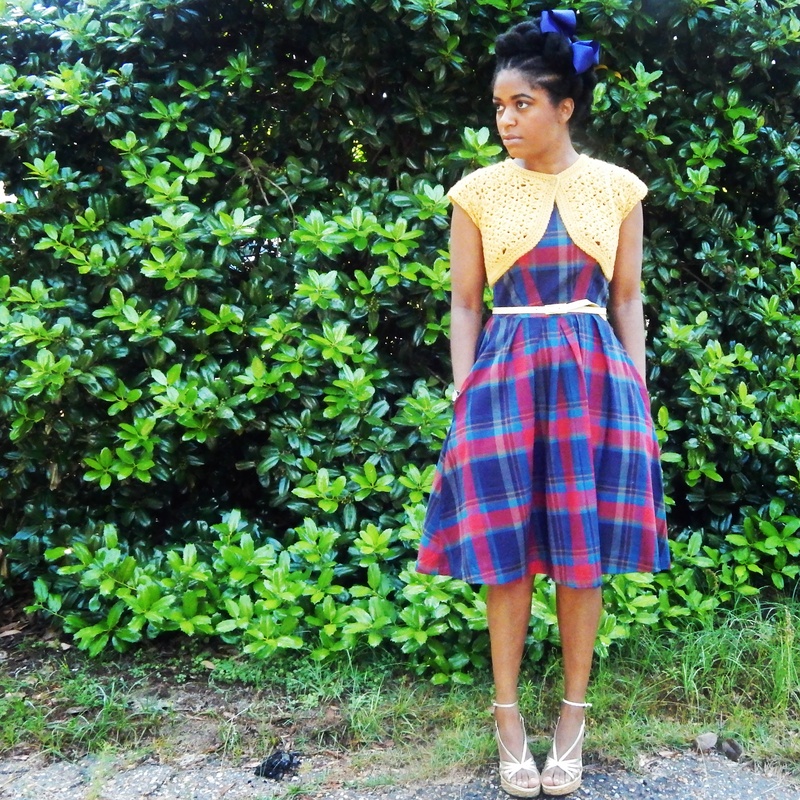 A tutorial for a simple elastic skirt can be found HERE and the tutorial for a retro headband can be found HERE (It’s not the exact tutorial I used, but I can’t find the original). Day 12 (Tuesday) – I worked then traveled home on this day. So, I was looking for a super comfy outfit. I am wearing my Marion cardigan. 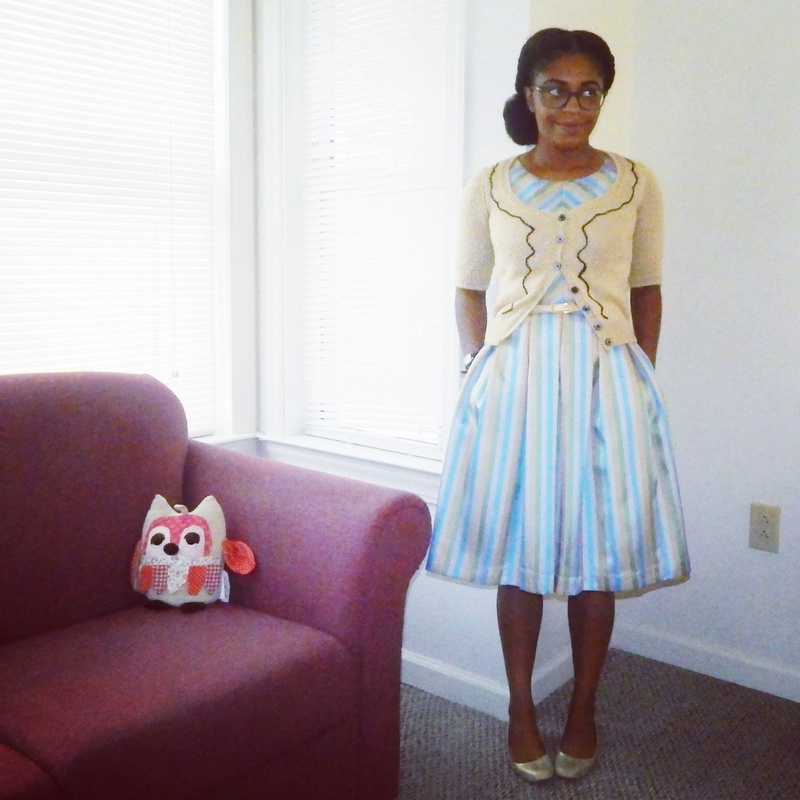 Day 13 (Wednesday) – I wore my Mei-Mei shrug with a comfy dress. 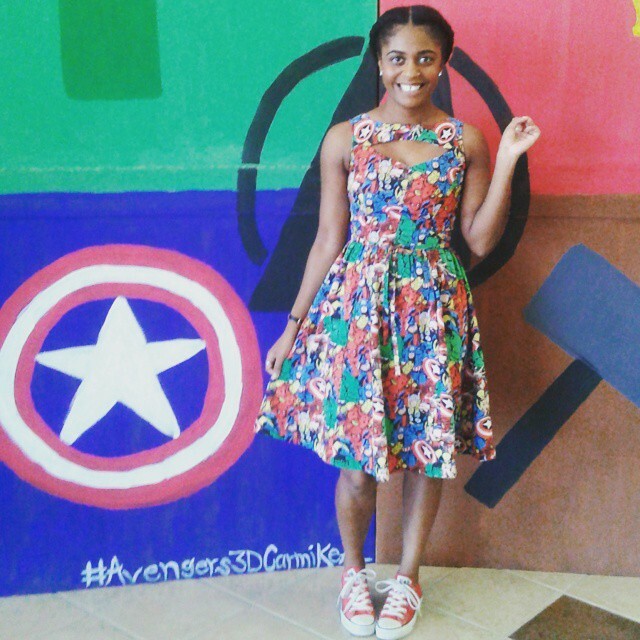 Day 14 (Thursday) – I spent the day with my Dad running errands and I wore a cardigan and a dress from the OAL2014. 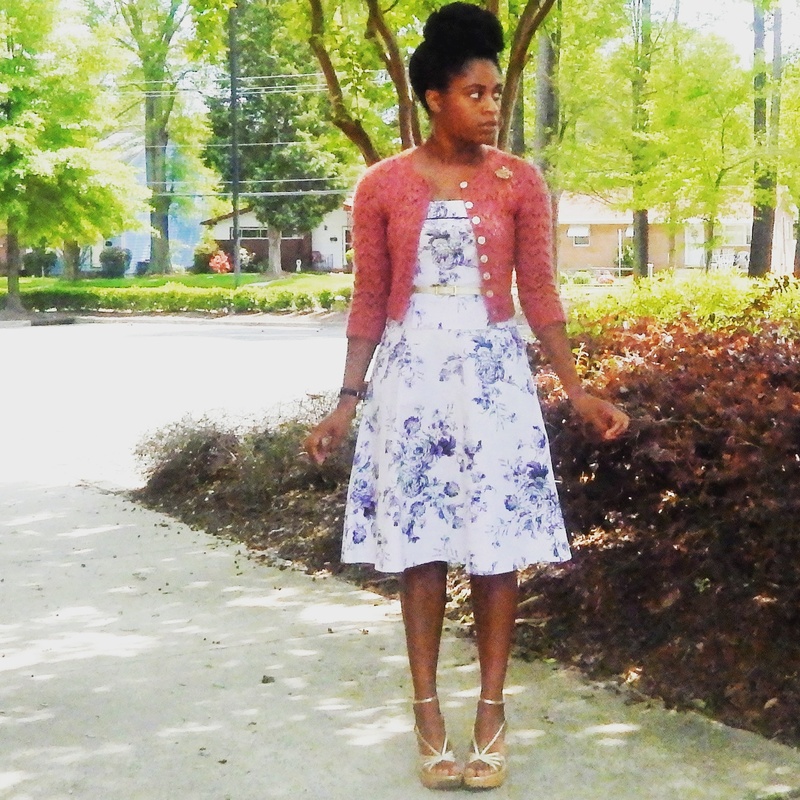 The cardigan is Myrna and the dress is Simplicity 1803. 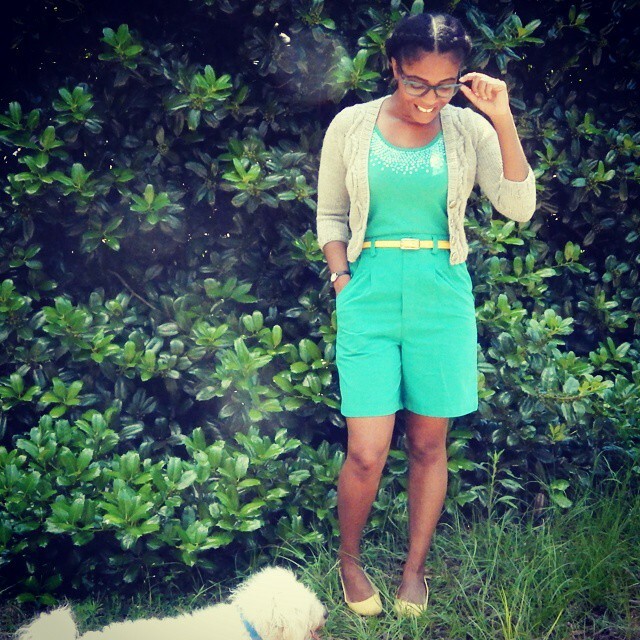 Initially, I was unsure about participating in Me Made May this year. My reasoning for this is that I didn’t have as many sewn items as I wanted to. For example, I wanted to make a dress. 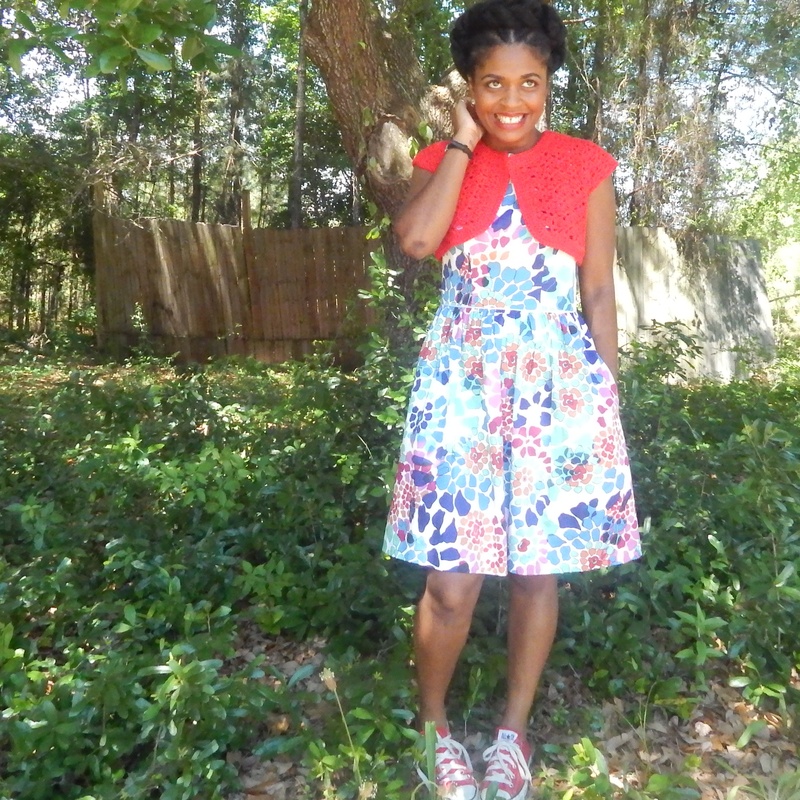 But, my last dress was Simplicity 2444. 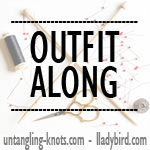 Even though I did not meet my craft goals, I still decided to challenge myself to wear my handmade items the entire month. On the bright side of things, I definitely have more sewn items than last year. So after much debate with myself, I decided to give it a go. I am glad that I did. 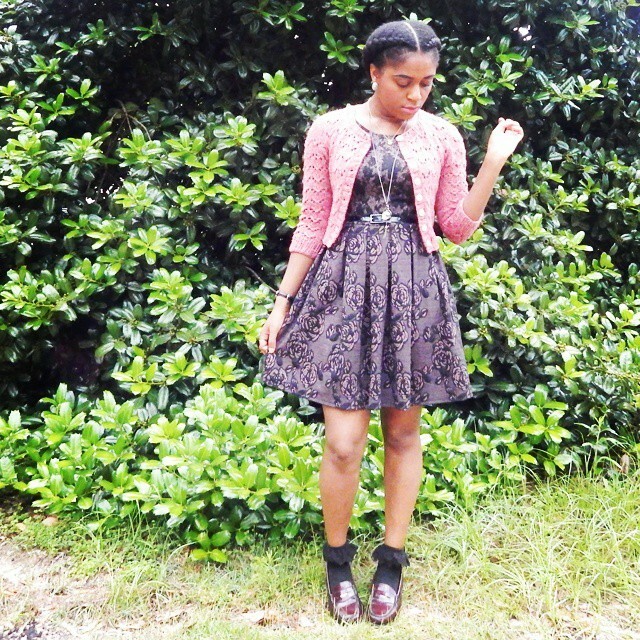 Day 1 (Friday) – I kept things pretty simple and just wore my Beulah cardigan over a black dress and black leggings. 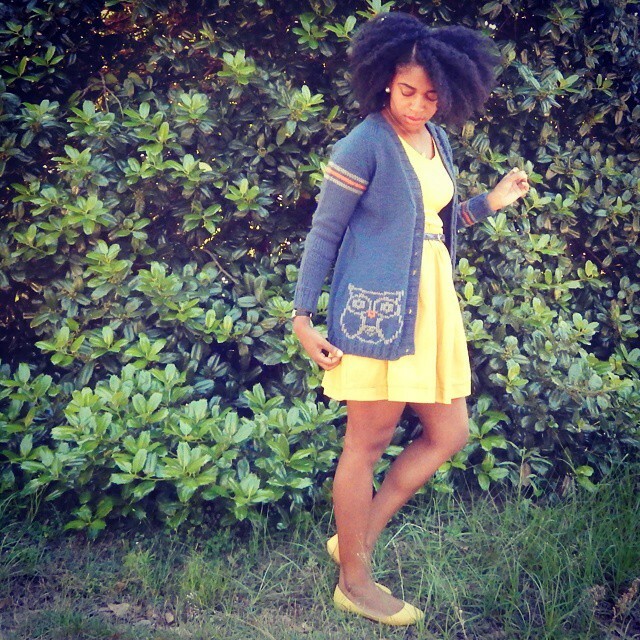 This was my first knit cardigan and it is still a favorite. Day 2 (Saturday) – This was one of the most relaxing days. My final exams and final papers were complete. I had no other obligations. So, I just relaxed, Netflixed (not a real word), and knitted. Of course, I went out to eat. 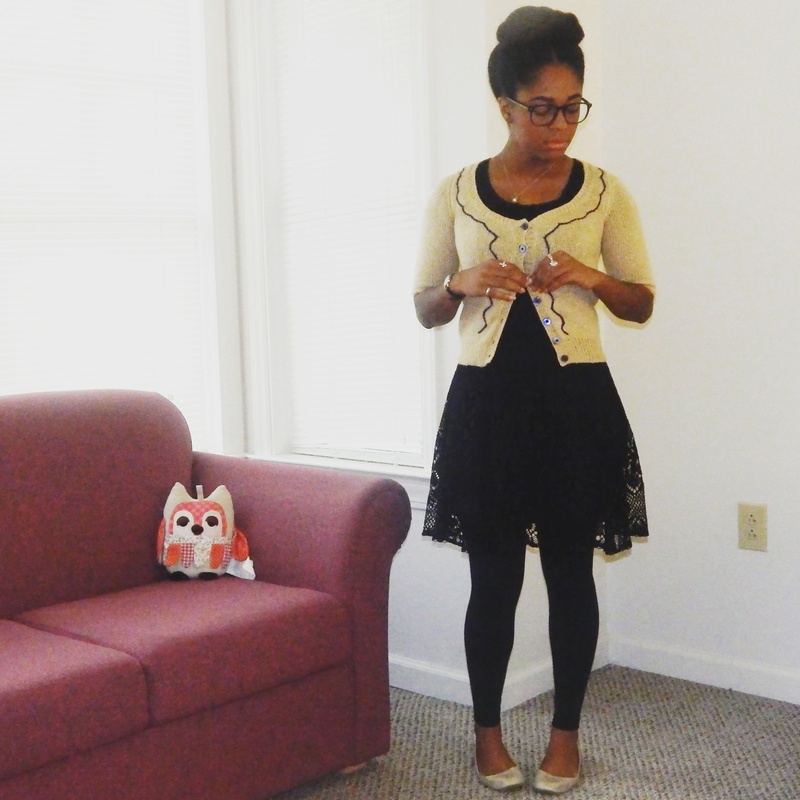 Zinnia is my go-to cozy and relaxed cardigan. 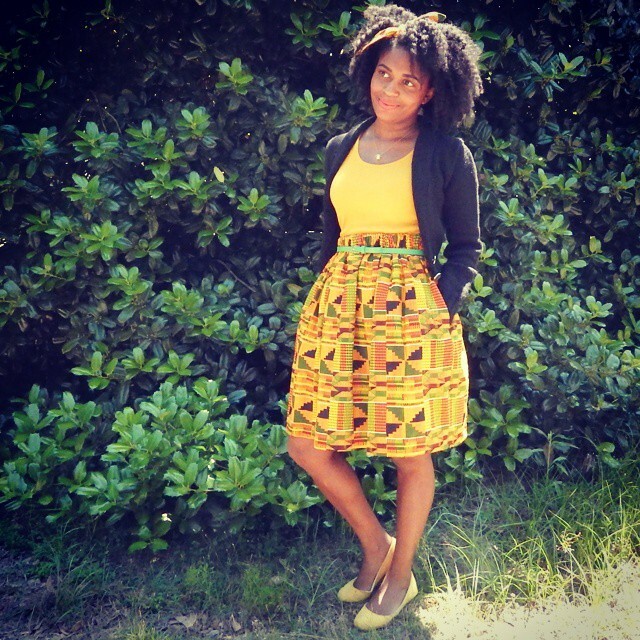 This was the first skirt I ever made. It has no lining, so it is for hot weather alone. It is self-drafted and I used this tutorial. 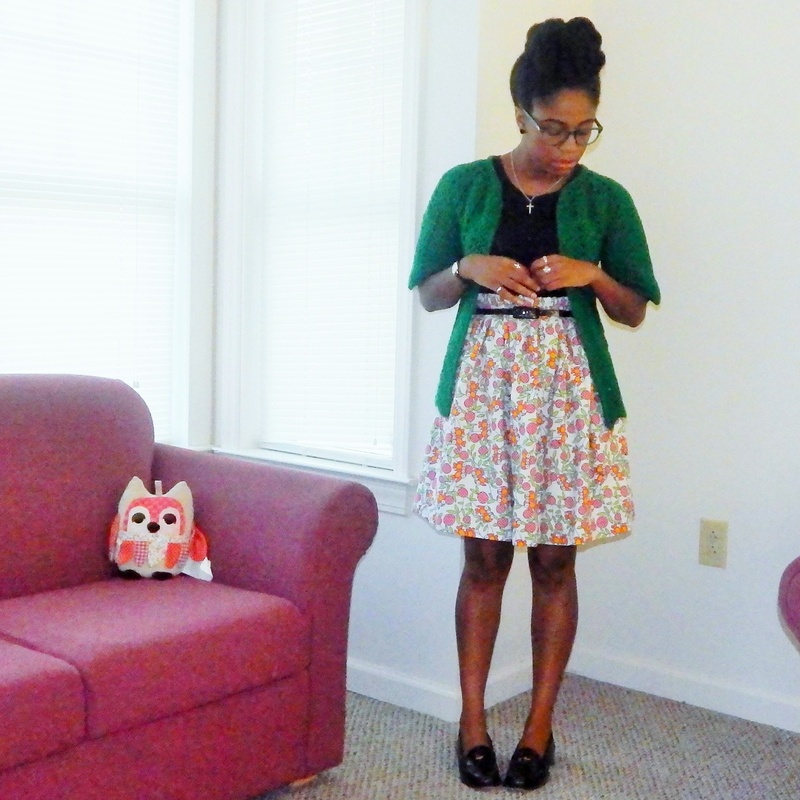 Day 3 (Sunday) – I went to church and wore my favorite cardigan, which is Hetty. Day 4 (Monday) – I had to go to work on this day. 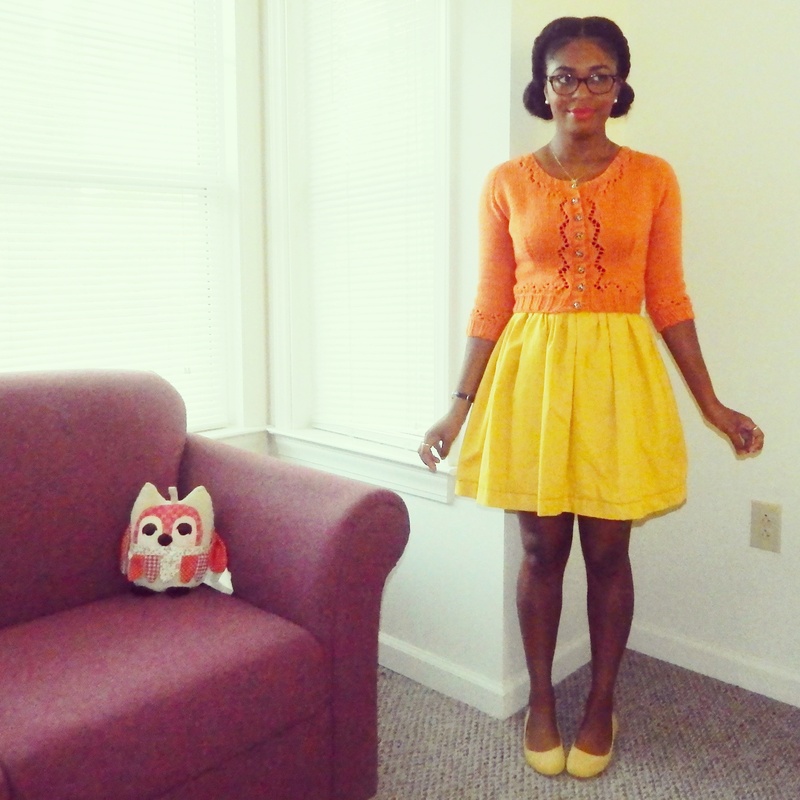 I am wearing my Chevron crochet cardigan with my self-drafted owl skirt. Day 5 (Tuesday) – This was another work day. After work, I attended the opening of a new exhibit at the Museum of Durham History. So, this outfit worked for both places. 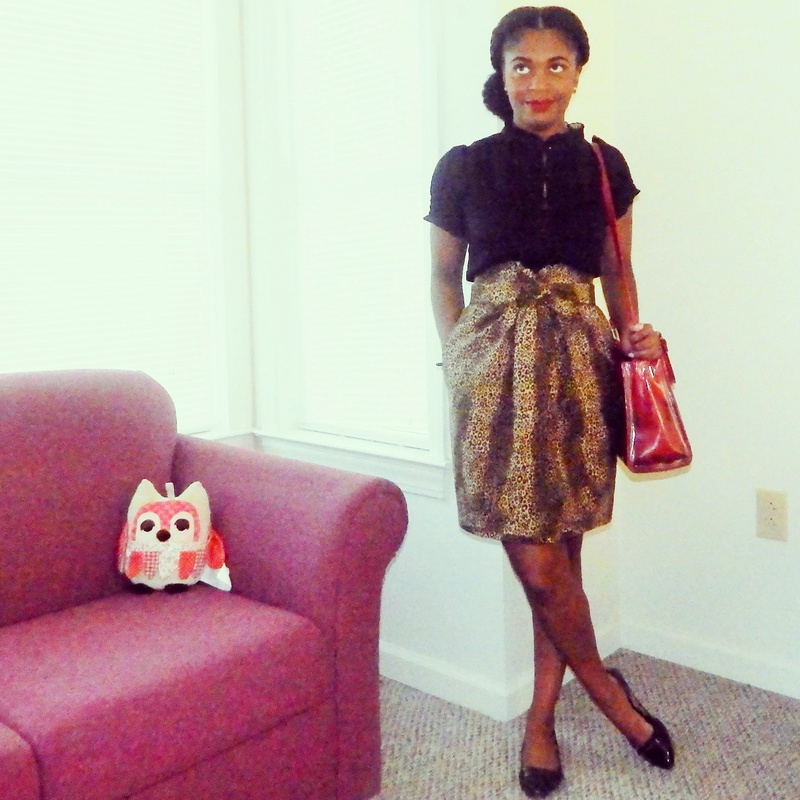 The skirt is Simplicity 2512. 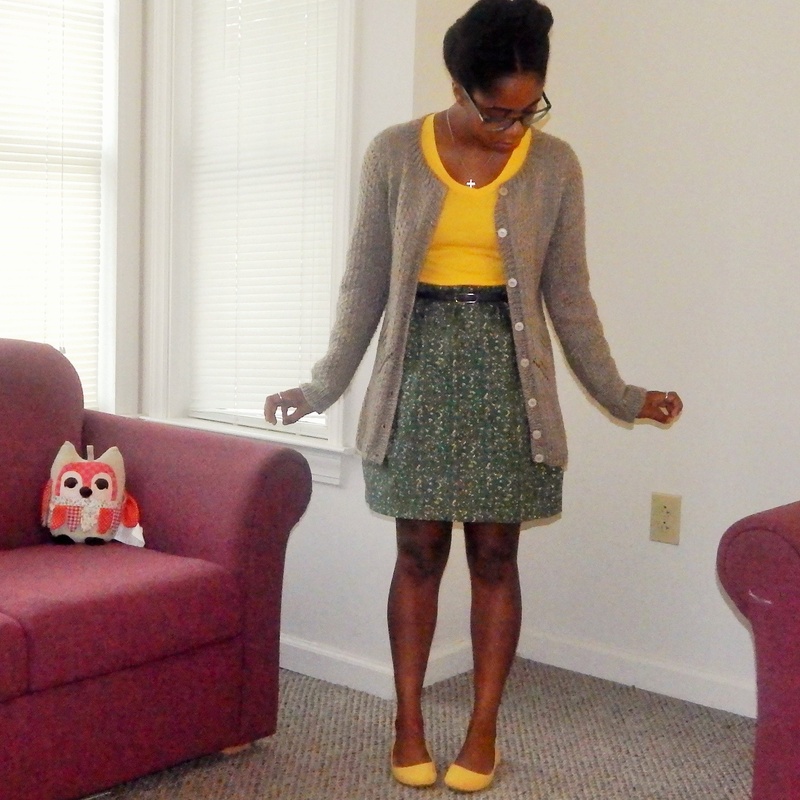 Day 6 (Wednesday) – This was my first time wearing my Henriette cardigan, which I was pretty excited about. 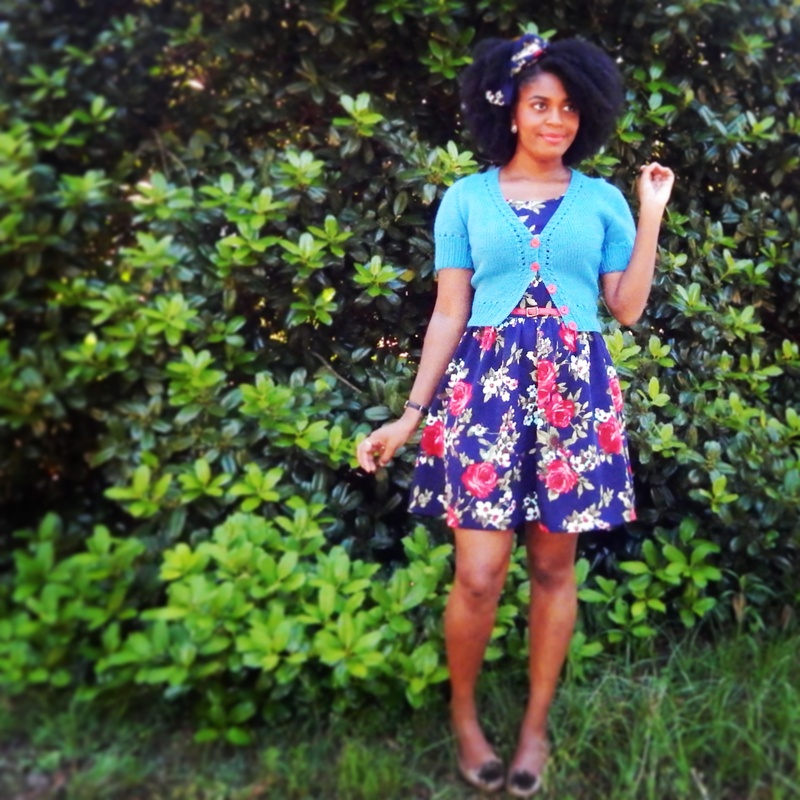 I am wearing my favorite handmade dress, which is Simplicity 2444. I really, really, really want to make another. I just can’t seem to find the time. 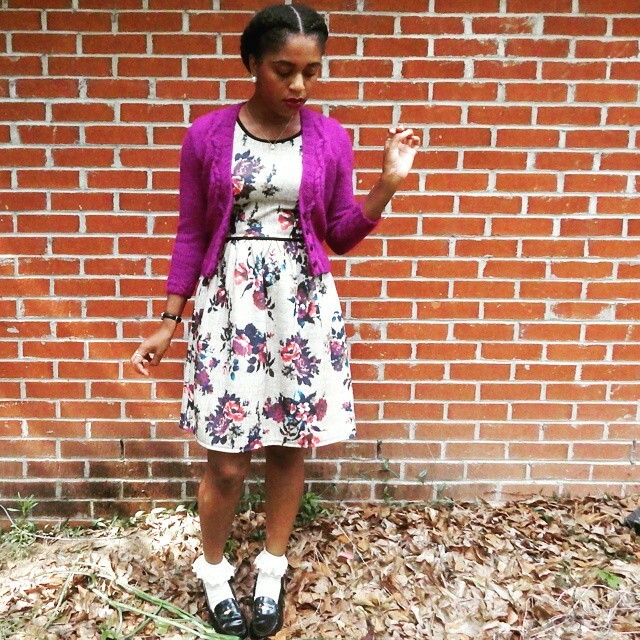 Day 7 (Thursday) – This is what I am wearing today. 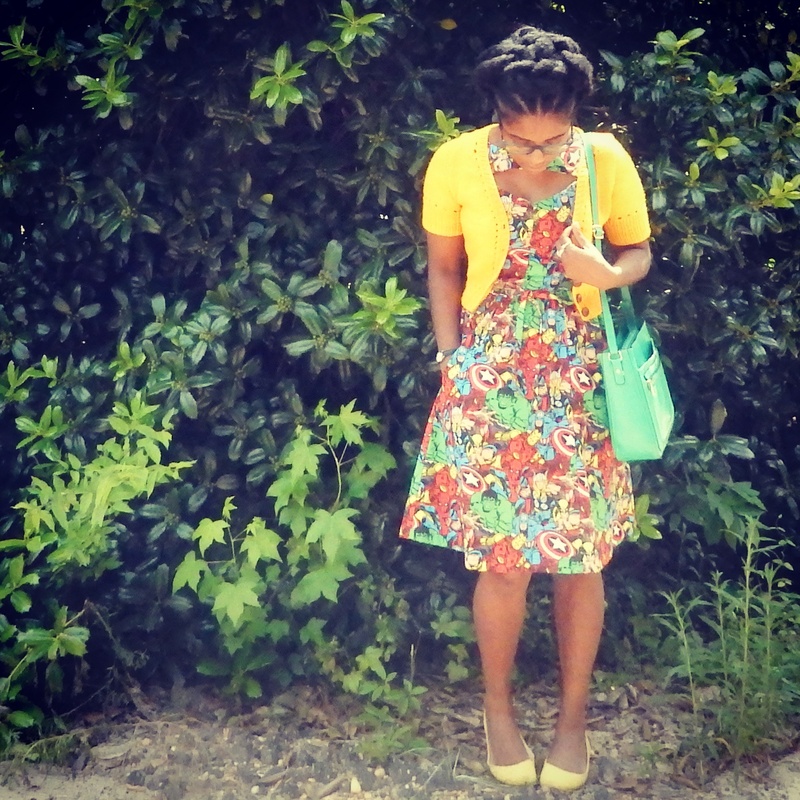 This is another work day and I went for super bright colors to perk me up. 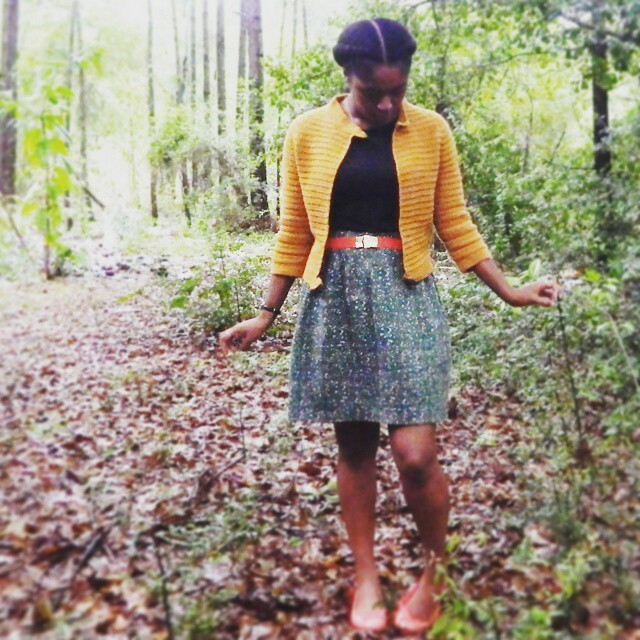 The cardigan is Miette and the skirt is self-drafted.